Planning to start up a small business in the Philippines? Good. You are about to compete with almost a million starters at this moment. Sorry to burst your bubble, but the figures don’t stop there – you are about to face hurdles starting from here. In this list, tycoon.ph has compiled the prerequisite processes to set up your plans for business. Considering the number of application processes, these will surely produce tons of documents and receipts processed by government agencies and commercial establishments. With these daunting number of documents in your hand, where would you keep these? According to RealSimple, they enlisted the places we could keep our important files into – from safe-deposit box, a fireproof safe, or on dry spaces. We wrote an article about the importance of backup in every document we have. Yes, it is a good practice to have a good place to store your documents onto; however, the chances are, we may find ourselves losing one or two of these documents. And that’s a big disaster. 3. Scan the documents upload in the cloud. Smart business owners keep a backup of their documents in the cloud over hard drives and physical places. Why? 1. Physical places are prone to calamities like fires, typhoons, and earthquakes. Most businesses in the PH are not safe from these disasters. 2. Papers are prone to wearing down over time. Corrections and additions on papers contribute to damage. 3. Hard drives are prone to crashing down over time. 4. Files on computer are open to unauthorized accesses, overwriting, corruption, and deletion. With all these in mind, almost everywhere is not a safe haven for business continuity. Moreover, incurring these damages could unfortunately lead to shutting down your business doors forever. Realizing the hurdles business owners are facing, Canon in partnership with Tech One Global, came up with a solution to address business continuity especially for small businesses, hence the 3 smart-strategies-in-one — the Canon Cloud. First, what is Canon Cloud? 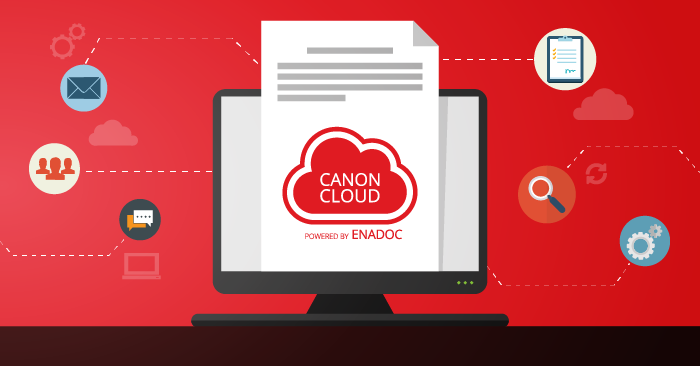 Canon Cloud powered by Enadoc provides scalable and effective cloud-based document management solution that primarily aims to help organizations like Small to Medium Enterprises (SMEs) secure their precious information, prepare disaster recovery, and ensure business continuity. What strategies does Canon Cloud provide? Strategy 1: Never lose a single backup document, ever. Like what discussed earlier, Philippines is a calamity-stricken area. Businesses should make sure that their important files are kept safe. It is important to easily access their document files and be back on track immediately even after the disaster. Small to medium businesses are not spared as well. Small businesses, whose processes rely heavily on paper documents, are the most susceptible to calamities and disasters. Strategy 2: More space means more productivity. Lim Kok Hin, president and CEO of Canon Marketing PH, said that their office had eliminated 80 cabinets to 100 cabinets since they started going paperless and storing their files in the cloud. Small spaces should be for work not for paper storage. Strategy 3: No more document misfiling. Misfiled documents cost a staggering PHP 6000 with loss taking place every 12 seconds. With that consideration, 70% of businesses fail within three weeks of massive paper-based document loss from accidents or natural calamities. Canon Cloud enables businesses to easily access and share files anytime and anywhere. 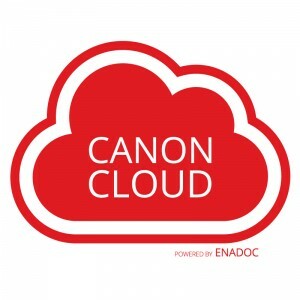 After scanning with either Canon’s document imaging service or a third-party application, documents can be quickly retrieved with Enadoc’s solution pride – Tag Cloud. Canon Cloud is the most cost-effective solution in the market. For Small to Medium Enterprise: With $50 or P2,400 a month, a user gets 25 gigabytes of Azure storage space with two libraries plus two user licensees, which roughly can store about over a hundred thousand documents. Never worry about storage space. While for Enterprise Solutions: With $99 or P4,600 a month, a user gets 1 terabyte of Azure storage space with three libraries plus two user licences. Canon Cloud could help entrepreneurs keep their businesses disaster-resilient. Canon Cloud aims to provide small to large enterprises with an affordable document system to be on-par with large businesses in terms of business resiliency. With cost-effective document solution Canon Cloud, small businesses in the Philippines will no longer have to worry about the next typhoon or any inevitable disasters and accidents.